My cat Scratch works long hours in my home office, rearranging paper piles, typing cryptic notes on my laptop, making sure that my wireless mouse isn’t lazing around on its pad. The other day as I watched him bat the mouse to the floor, then drape himself elegantly across my notes and keyboard (he’s a big guy), it occurred to me that my furry assistant might actually be having a negative impact on my productivity. Not that I would ever consider banning him from my place of work. Who else is going to pat me on the cheek with a soft paw as I labor in my endless pursuit of a fresh approach to extolling the virtues of adjustable-height tables? Still, it got me thinking that there are probably a lot of people out there who share an office with their pet(s), and even more who wish they could. And, speaking of height-adjustable tables, mightn’t there be a market out there for furnishings — or at least accessories — designed to accommodate the special needs of the pet-friendly office? A little bit of internet research revealed that, yes, many, many people these days face cat-computer compatibility issues. Also, I am not the first one to think that a desktop cat support device (in your choice of birch, cherry, or walnut veneer) is an idea whose time has come. The mental and physical health benefits of pet ownership are well documented. Studies have shown that pet owners have a reduced risk of heart disease and an increased rate of survival after a coronary event. Simply being in the presence of a friendly animal has a measurable positive effect on pulse and blood-pressure rates and reduces the intensity of stress experienced by people in such stress-inducing situations as undergoing a medical procedure or taking a math test. But the benefits to employers who let workers bring their furry friends to the office extend beyond a healthier and more relaxed staff. The APPMA survey found that pets in the workplace improve employee morale and camaraderie, reduce absenteeism, and promote willingness to work overtime. Ninety-six percent of the pet-friendly companies surveyed said that pets contributed to positive work relations, and 73 percent said that pets in the office “create a more productive work environment.” Businesses that allow pets believe it improves the atmosphere for all employees, even those who are not pet owners themselves. In companies where people work long hours and/or spend most of their days working on computers, pets encourage employees to take healthful physical and mental breaks. In a time when money is tight and work-life balance issues are hot, establishing a pet-friendly policy is an inexpensive perk that can serve as a significant recruitment and retention tool. Simply Hired, an online jobs database, provides a search option that allows job seekers to specify that they wish to work for a dog-friendly company. A survey by Simply Hired and Dogster, another online site, found that a third of employed dog-owners would be willing to take a five percent pay cut if it meant they could bring their pets to work. Two-thirds said they would work longer hours, and half said they would switch jobs. Not everyone is an animal lover, of course, and even some who are have allergies to pet dander. Some employers try to accommodate everyone by designating certain areas as pet-free zones. Most companies that allow pets have a written policy which outlines expectations about where pets are allowed and what their owners’ responsibilities include. Policies typically specify that animals be housebroken, flea-free, and friendly, and that their humans clean up after them, inside and out. Autodesk, a pet-friendly company employing 1, 100 people at its San Raphael site, stipulates that “dogs are not to be brought to meetings” and “loud, repetitive barking or eating another employee’s food is also not acceptable.” Seems reasonable to me. Promoters of “Take Your Dog to Work Day” (next TYDTWD: June 24, 2011) offer tips for people planning to introduce Fido to the office that include leaving the squeak toy at home and making sure that your cubicle or office can safely and comfortably accommodate your pet. With regard to the latter, entrepreneurial types are already training their focus on the pet-friendly office market. … individuals who are pet owners and particularly cat lovers and also use some type of computer instrument involving a keyboard have encountered the problem of having cats generally prowl across the keyboard thereby disturbing the operation thereof. 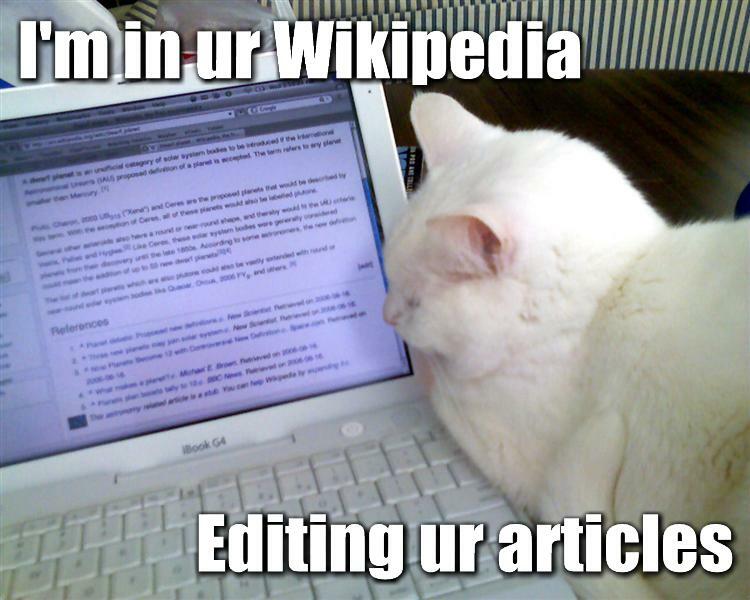 In addition, cats of a particularly curious nature or those who have a habit of invading the operating area while their owners are working on the computer certainly have a disruptive effect on the operation and in fact, could, in certain instances, destroy certain work currently being performed on the computer. I haven’t been able to determine if the protector assembly has made it into production yet. Or, better yet, let your cat use those keyboard skills to supplement the family income. A new book out from Ten Speed Press — Careers for Your Cat by Ann Dziemianowicz — includes a “Meowers-Briggs Career/Personality Test” to help you find the perfect placement for your office cat. This article was originally published on jugglezine.com.